Who Should Be Considered For The Postseason AP All-American Teams? There is a lot of talent dispersed throughout the NCAA this year. Knowing that, it is difficult to call anyone a “snub” for not making the AP Preseason All-American team. The guys that did not make it are simply non-selections. Composed of Grayson Allen, Ivan Rabb, Josh Hart, Monte Morris and Dillon Brooks there is not much room to debate the merit of these picks. There are still plenty of players out there that could be All-Americans by season’s end. The AP will name a 2nd and 3rd team at the end of the year leaving space for ten more players. So who will make those teams? Which players have the possibility of slipping into the first team, replacing one of the current five? London Perrantes is a very complete ball player. 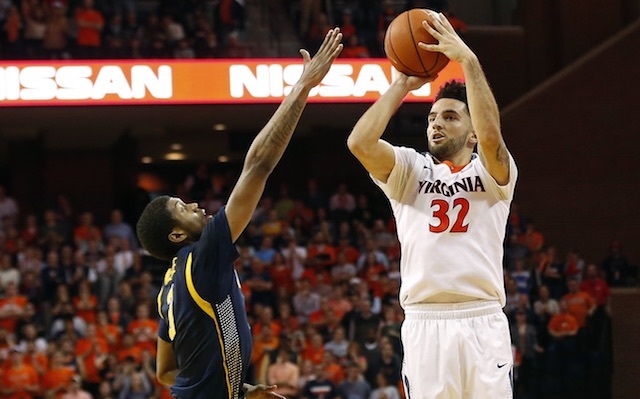 He is the perfect guy to be at the helm for Tony Bennett’s Cavalier squad. Perrantes is the only returning double digit scorer from the 2015-16 Elite Eight team. While there were notable losses, Austin Nichols is an excellent gain. He provides some scoring while being the defensive specialist that is key to Bennett’s teams. He was 6th in the AAC in defensive rating in 2014-15 before sitting out last season as a transfer. Nichols and the rest of the Cavalier roster is full of talented rebounders and defenders meaning that yet again they will only need to score 65 points to win a game. Perrantes went from 6.4 points per game to 11.0 in 2015-16. Additionally his PER escalated from 12.3 in his first two seasons to 18.2, so he can be quite efficient. Without any other returning elite scorers there should be another jump in the scoring element of his game. That is not all that Perrantes does for his team, however. He also provides 4.4 assists per game coupled with 3.0 rebounds, 1.1 steals and a three point average of nearly 49%. Between his efficiency, magnitude of importance on his team and his all-around ability the senior is a lock for a great season. Melo Trimble is Coach Mark Turgeon’s guy this year. The junior is the one saving grace from the mass exodus of Terp talent. He needs to prove that he has NBA ability so it behooved him to remain at school. Trimble’s numbers dropped across the board. Especially prevalent was a 10% decrease in his three point shooting mark from 41% to 31%. This is just a pure lack of precision but his overall field goal percentage dropped as well. Some of that can be attributed to the additional talent on the team inside meaning some of his easy baskets were taken away in favor of Diamond Stone. However his usage percentage was nearly identical to his freshman mark of 25%, but his win shares dropped, mirroring the drop in efficiency seen across the board. This year, he is the big man on campus and must show that he is worthy of a first round pick. That is exactly why he should be on the All-American watch list: that is what his team needs him to be. He can accomplish this by creating shots for himself, actually hitting those shots that he creates and by assisting others in opportunities for scoring. The Terrapins have a five player freshman class coming in including marksman Kevin Huerter. Huerter’s deep threat should open up the spacing on the floor for Trimble to create for himself or he can run some pick-and-roll in a two man game with Damonte Dodd. Trimble was good last year, but with improved efficiency he can catapult himself into the All-American race. The Clemson Tigers did not experience much roster change this offseason. The three leading scorers and three of the top four rebounders are returning. As it so happens, Jaron Blossomgame led the team in both categories and was rumored to skip his senior season to go pro. At 18.7 points per game and 6.7 rebounds (which was actually a lower number than previous years), Blossomgame was statistically near the top of the ACC in several categories. He was third in the conference in scoring, shooting 51% from the field, he hit a 27.1 PER, good for second in the conference, showing his ability to be efficient with his touches. 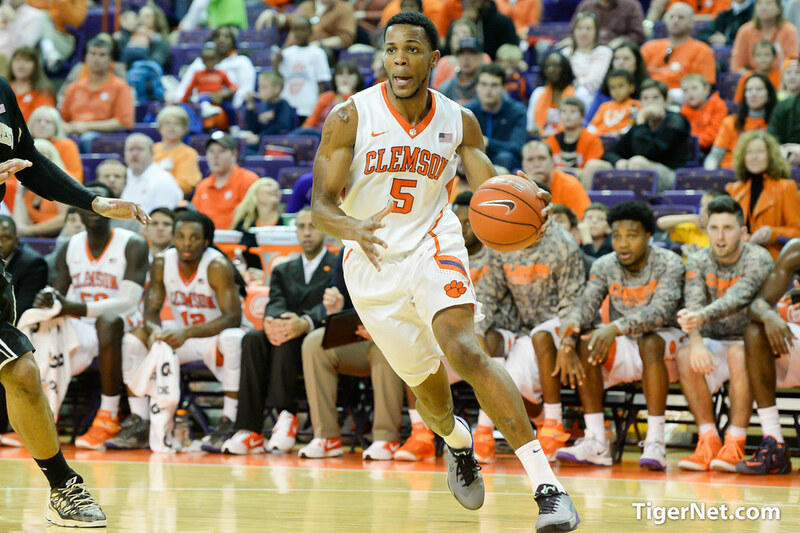 Blossomgame finished the year with 5.6 win shares in the 31 games that Clemson played. His presence is critical to his team and will be the deciding factor in Clemson’s season. Blossomgame’s talent will shine through and put him on a fast track to cracking the All-American team. The senior tripled his minutes for the Razorbacks last year. Simply put: he filled the stat sheet. Nearly averaging a double-double with 15.9 points per game and 9.3 rebounds, Kingsley showed a multi-faceted attack. He also tacked on a steal and an assist per game. He was third in the SEC in PER with a whopping 27.4 in 2015-16. Despite all the offensive numbers, Kingsley actually is also statistically efficient on the defensive end. He rebounded on 23.3% of the opportunities he had on defense which was good enough to be third in the conference. Kingsley also was fourth in the SEC in defensive box plus minus and eighth in defensive rating, allowing 97.1 points per 100 possessions. It is also no small detail that his 76 blocks were good enough for second in the conference. As a junior, his program asked him to step up and he did just that. This year should be no exception for the stat-stuffer. An interesting factor this year is age. Even with a very talented freshman class, there are still plenty of players that made the decision to remain at school. Despite the overwhelming amount of talented upperclassmen, the freshman star power cannot be ignored. In past years, the end of season team has featured freshman. 2015-16 saw only Ben Simmons (2nd) and Jamal Murray (3rd). The AP selected two freshman, Jahlil Okafor and D’Angelo Russell, to the first team in 2014-15. Karl Anthony-Towns earned second team honors. Since 2006-07 a freshman has made either the AP voted a freshman to either the first or second team. Between their prevalence in the past and the depth of this class we really should consider them as a legitimate threat to overtake the upperclassmen on these lists. There is a plethora of guys that could make this list: Josh Jackson is the best player in the class in the eyes of some and a freak athlete. Lonzo Ball is a prolific passer and can score the ball well. Harry Giles Jr., if healthy, could put up both scoring and rebounding numbers. D’Aaron Fox and Malik Monk are both freakish athletes for Kentucky. Markelle Fultz is a player that seems to be moving up scouts and analysts draft boards. He is a good lead ball-handler and can create his own shot. Fultz is an NBA talent and will likely be one of the best players in college, undoubtedly considered for the All-American team.